Desi Smith/Staff Photo. 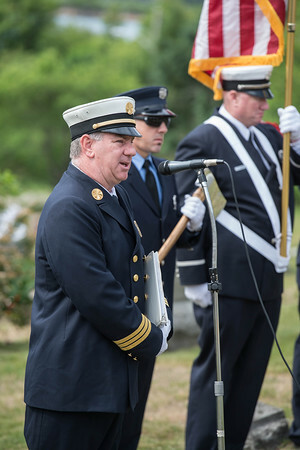 Deputy Chief Steve Aiello speaks about the loss of Firefighter Phil Bouchie who passed away suddenly In January, during the 134th Annual Firfighters Relief Memorial Service Sunday morning at Cherry Hill Cemetery. June 14,2015.